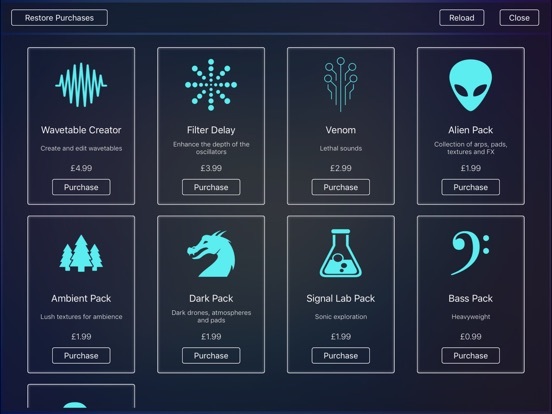 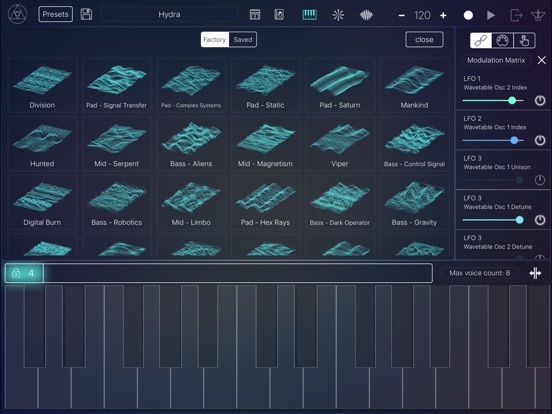 Scythe is a new incredible app that makes iPad a good replacement for the best music production laptops. 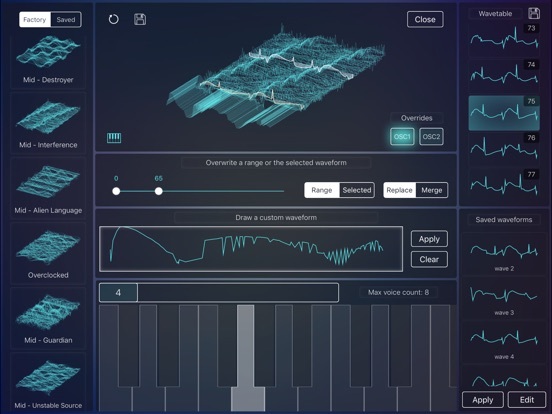 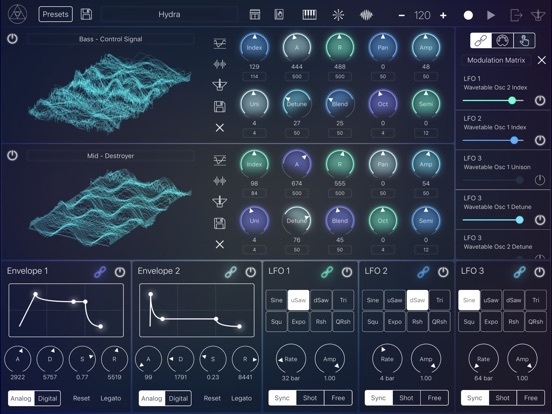 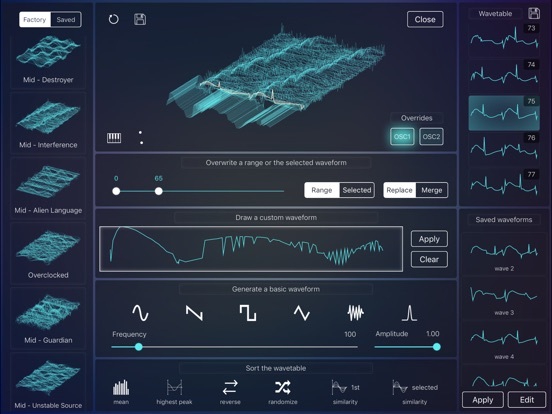 Scythe sound engine is based on two wavetable oscillators that you can visually see on 3d screen (like Serum or Nave). 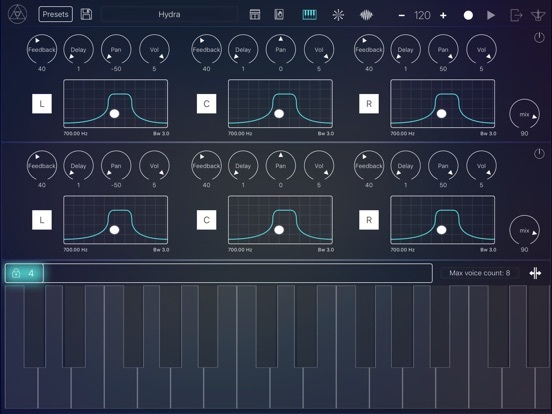 It has easy to use modulation matrix. 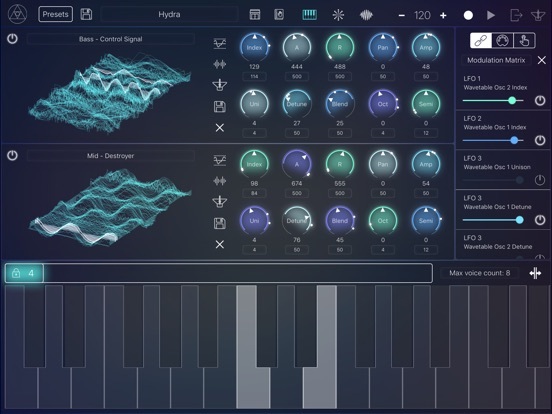 And supports Inter App Audio.